Buying cheap franchises for sale require as much caution and speculation as necessary for purchasing an expensive ones. Buying a franchise is a big commitment because you will be investing both time and money to make it function smoothly. However, your investments may not bring the commercial success you want. To be successful, you have to analyze and measure the business risks carefully while choosing a cheap franchise for sale. Some of the major factors to consider are required franchise policies, costs, skills and industry. In this post, you will find some helpful guidelines for researching cheap franchises for sale that meets your requirements. You may also want to check out some frugal living tips for business owners, to ensure you have the money you need to purchase a franchise. There are many franchise opportunities available in almost every industry, making it tough to find the right one for you. But, you should first determine which industry interests you most. Do you want a low cost franchise for sale that belongs to food and beverage industry? Or, do you have an interest in salon or spa franchises available with a small budget? Once you have answered these questions, your search for cheap franchise options will be more focused. Especially for low cost franchises, you must decide whether to run the franchise from home or from a commercial business site. The business location can either enhance or lower your chances of finding the right low cost franchise for sale. Certainly, these considerations should be made to narrow your search. The opportunity to become a part of a well established brand is hard to overlook. However, if you do not have any knowledge about the industry that a lucrative cheap franchise belongs to, you will not be able to run it successfully. Be honest with yourself and examine your skill set closely. Do you have the knowledge and skills for running a franchise you are eyeing? Proceed, only if you can answer with confidence. Otherwise, you may want to consider investing in yourself or choosing another industry where you can really succeed. For most people, the Internet might be the first resource that pops into the mind for finding cheap franchises for sale. However, you should also keep an eye open for the newspaper classifieds and local listings like Craigslist. Sometimes, cheap franchise options are advertised as ‘turn-key’ business in the classified section of newspapers and online classifieds. Of course, there are many franchise websites which can help you find opportunities in your local area or region. To get relevant search results, use information specific to your desired industry, area and budget, just as you would if you were looking for small business insurance plans. 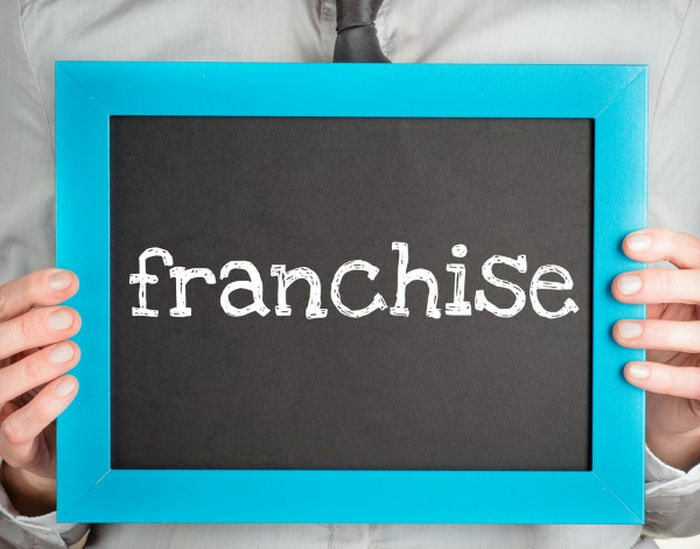 Running a franchise is a full time job, especially in the beginning. It may take 2 to 3 years before you start earning a regular income from it. You should not spend all your savings on buying a franchise in the hope of high returns. There are several funding options available for entrepreneurs planning to buy cheap franchises. Evaluate these franchise financing options and choose one that suits your circumstances the best. Some experts recommend that only 15% of the cost should be covered by your own money (although that is entirely up to you). While calculating the cost of cheap franchises, do not forget to include franchise royalty fee and ongoing operational costs. These costs will pay for marketing and training that are critical to the franchise’s business model. How much is Kumon? Too much, if you ask us. Cheap franchises can give you an opportunity to make money without having money to start. But, if you are just starting out on your journey to entrepreneurship, you will definitely have to look a bit harder to find cheap franchises that approve inexperienced buyers. You are going to have to narrow down your selection to franchisors that will. Keep this in mind to keep costs down and hopes alive. Fetch Pet Care, for example, requires a net worth of just $25,000 and a franchise fee of only $15,000. On top of that, they are available for purchase to first year business owners like you. They can help you set marketing goals and learn how to achieve them. This particular franchise offers pet care services such as walking and sitting for all types of animals. If you love animals, consider a Fetch Pet Care franchise. If not, just remember to keep in mind that not all low cost franchises will accept first time business owners. You are going to have to narrow down your selection to franchisors that will. Keep this in mind to keep costs down and hopes alive. Cruise Planners is another one of the best cheap franchises for new entrepreneurs. This travel franchise is backed by American Express Travel, which helps add credibility to your new business. Like most other travel franchises, Cruise Planners is a home-based travel agent network. This franchise allows you to work from home selling cruises and more. Your Cruise Planners franchise also allows you the opportunity to sell other full-service travel packages, like land-based vacations, travel insurance, car rentals and whatever else customers need to travel. If you like to travel and want to turn your passion into a business without having to worry about paying for a business car, consider opening a Cruise Planners franchise for less than $23,000. At the end of the day, cheap franchises for sale offer an incredible opportunity to be associated with an established brand. To be sure of your investment, do your own research to find out if the franchisor is making regular profit from the business. Finally, only invest when you are completely sure about the financial health and operational stability of the franchise business.